You may remember me mentioning back in July that I was working on a secret project. Well, this is it! Father Rabbit have added a guest room (in the form of a bird house) and have introduced Hello My Tropical Princess Bird Friend. 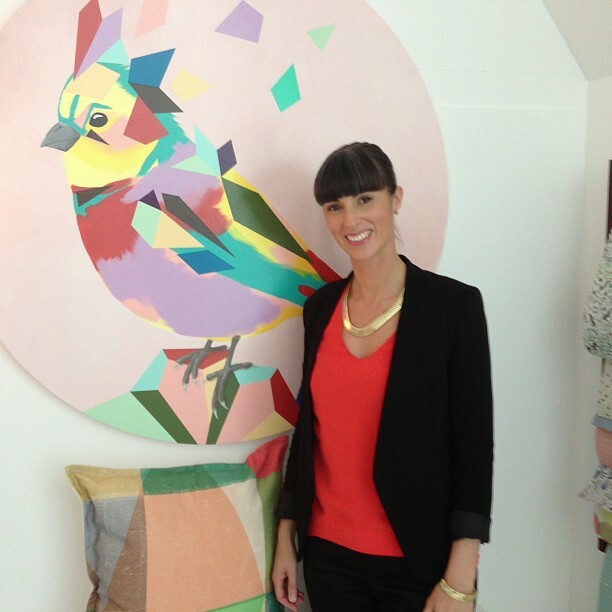 I am so honoured to be involved with this project and decided to visit the house to check out their new location at BLOC. 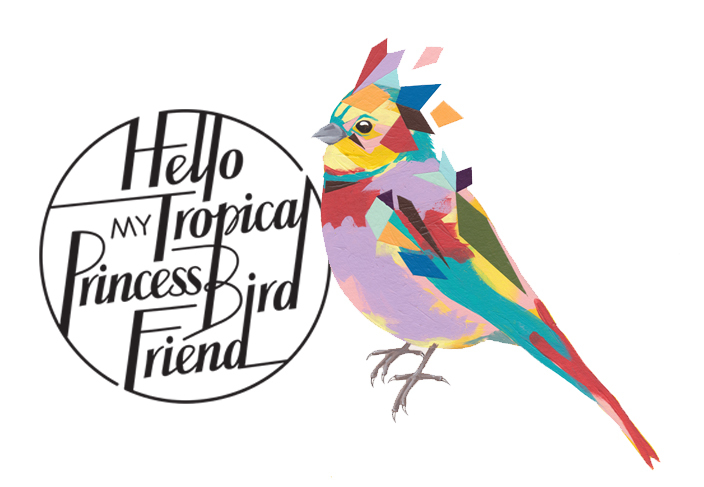 The painting above is for sale, and I also designed the bird for the branding of Hello My Tropical Princess Bird Friend (below). This entry was posted in Arty Places, Shops and tagged Father Rabbit, Hello My Tropical Princess Bird Friend, Karley Feaver. Bookmark the permalink.